Decipher the hidden codes around you! Numbers underpin our day-to-day lives. Our birthday, anniversaries, addresses, and bank accounts—these complex series of numbers all contain codes to where we may find fortune, and where cycles of opportunity reside for us in our careers, relationships, and life events. You can even use numbers to determine your soul's purpose! 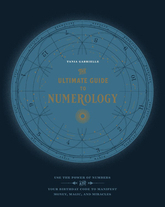 Written by master numerologist Tania Gabrielle, this guide to the inner workings of numbers will teach you how to forecast outcomes, optimize timing on projects, take advantage of opportunities, and avoid pitfalls. This beginner's guide shows how to decipher your personal birth code and learn what messages the numbers in your life hold. The Ultimate Guide to Numerology is the codex to break the codes!